He has just signed a new two and a half year deal. I think this is good news. When fit he is a good championship midfielder. I would even bet as players in the squad improve, he will keep his place. If he left, how much would it cost to replace him? He would have ended up at a top championship club A bit pedestrian from my liking at times, but he is good at what he does. https://www.skysports.com/football/news/11095/11655143/football-rules-how-will-new-ifab-laws-affect-the-game Just heard an ex-ref talking on Talksport (didn't catch his name) and he discussed law changes coming into affect next season at all levels of the game. Three of them took my attention. One isn't mentioned in the article I have linked. The most bonkers one is that ALL penalties will be as if it's a penalty shootout out. In that once the penalty is missed the ball is dead. No rebounds, no 2nd chances. Why??? Because the law makers are on cocaine, that's why The next big one is attacking players have to be 1 metre away from the wall at free kicks. No attackers standing in the wall. Why??? Because the law makers are on cocaine, that's why. The law change not mentioned is that the ball will now be active from a goal kick as soon as it is touched. Players will still have to be outside the 18 yard box but once it is kicked the ball is fair game. https://www.nytimes.com/interactive/2019/02/15/upshot/british-irish-dialect-quiz.html Despite leaving Darwen in 1974 and living in Hull, Leeds then in and around London and now subject to Menglish, the quiz pinned me to an area between Darwen in the south and Lancaster in the north. This is without doubt going to divde opinions.. I personaly hope that the dressing room is as good as DG says it is and TM faith and trust in him pays off..
Good evening everyone. I am posting on here to see if there is anybody kind enough to donate a signed Rovers shirt to the charity that I am doing a 230 mile walk for. https://www.gofundme.com/chris-and-andy-head-to-cardiff https://m.facebook.com/ChrisandAndyHeadtoCardiff/?ref=bookmarks We are desperately trying to raise £250,000 and every little will help. If any of you have a shirt that you wouldn't mind donating then please get in touch, via this site or our Facebook page. We have managed to get a Cardiff City shirt signed as well as an England one too. Being a Rovers fan I would love to be able to auction off one of our signed shirts too. Even if you can't help then please like our page and if you are touched by the story please please donate to our cause. Thanks a lot everyone. Signs on a four year deal from Man City for an undisclosed fee. Welcome. Looking into this one - Evans out - Surely this means Reed in the middle with Smallwood. Rothwell or Palmer out on the wings, if not both (replacing armstrong). Brereton replacing Graham and i think we will should have a comfortable win. https://www.rovers.co.uk/news/2018/october/ticket-news-swansea-city-a/ On sale from today, just £30 each for adults. 5 hour+ each way trip on a Tuesday night, on the red button. Do they want any travelling fans to bother or would they just prefer home season ticket holders and the tv cash? One for the development squad (who need it). Looking forward to seeing Palmer play in the famous blue and white halves. Let's monitor his progress here. I assume he's requested the number 45 shirt (pending EFL approval)... Any special reason behind that? Sorry I didn't no where to put this. Feel free to move it . 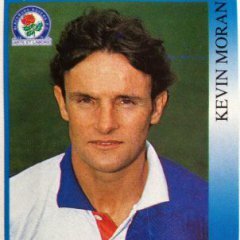 I'm selling some of my rovers memorabilia if anyone's intrested. Nearly all items come with a certificate of authenticity. Signed and framed Alan shearer shirt. Black and red 94/95 £350 Signed and framed Tim Sherwood shirt. Blue and white 94/95 £350 Signed and framed Tim flowers shirt. Green 94/95 £350 Signed and in one frame goalie gloves. Paul Robinson, Tim flowers, Brad friedel and Shay given. £ 300 Signed and in one frame boots. Robbie Fowler, Phil jones, Tim Sherwood and Steven nzonzi £350 Individual signed shearer boot in perspex box £150 Individual signed Sutton boot in perspex box £ 100 Signed and in one frame captains armbands Tim Sherwood, grant Hanley, Danny Murphy, Jordan Rhodes, Scott Dann and Henning Berg. £250 Signed by shearer and Sutton framed photo of them both lifting the premier league trophy £200 Framed ticket stub, programme signed by the team and picture of the celebrations signed by Craig hignett. £80 93/94 mitre Delta signed ball £40 94/95 signed Blackburn ball £50 Match worn Danny Graham shirt from pre season friendly with Sparta Prague £50 Salzburger pennant signed by last seasons squad. £20 The three home champions league programmes, the play off final against Leicester programme. If your interested pm me and if you explain how I will send photos.